Coaches need a lot of tools in their toolbox. If all the strength coach knows is the barbell, then they are limiting their ability to solve more complex problems. 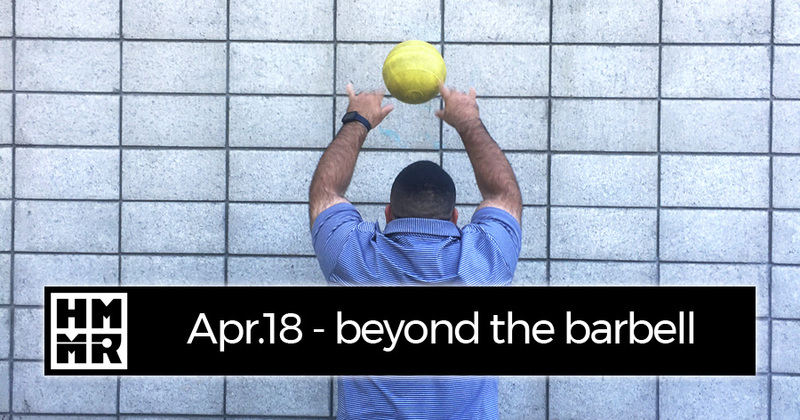 Therefore for the site theme in April we chose going beyond the barbell, bringing together 3 new videos, 2 podcasts, and 5 articles to look at different ways coaches can solve problems with other training methods. All the links are below, but first I wanted to share a few ideas that crystallized in my mind this month. As mentioned above, the more tools you have the better. In many cases, you might never use the tools, as Chris Gallagher explained. Craig Pickering also explained that simply having more than a hammer will help change your mindset so that you don’t see every problem like a nail. This is helpful as the most effective exercise is not always the best one to select. You have to take into things like athlete adherence, experience, background and more. The more options you have to select from, the better. 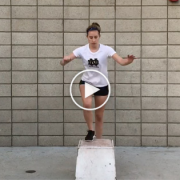 Supplemental methods are often thought to target needs like mobility, speed, or injury prevention. Strength, it is often thought, is found in the weight room. It is indeed easier to measure load in the weight room . . . you just add up the plates on the bar. But that doens’t mean you can’t find substantial loads without the barbell; you just have to be more creative. Sometimes that means training differently, as with Nick Garcia’s leg circuits, or sometimes that means finding new implements, as Nick Hill demonstrates with some great partner exercises. With the right plan, you can find as much or more loading for your athletes without using a barbell. Even if you don’t use these exercises to target strength, the other stuff – mobility, speed, injury prevention, etc. – is reason enough to step beyond the barbell. As Steve Myrland put it on the podcast in April: “Barbells require the body to organize itself the bar, rather than optimize the movement for the athlete.” Barbells are better than machines, but they offer fewer degrees of freedom than so-called “functional” training and often focus on just the sagittal plane of movement. By moving beyond the barbell, the athlete can be challenged in all planes of movement in a more complex manner. Video Lesson 13: Leg circuits with Nick Garcia and Martin Bingisser demonstrating leg circuits and progressions for beginners and experienced athletes. Video of top mini band exercises from Steve Myrland. Nick Hill demonstrates 10 athletic development tools you can find at any track. Medicine balls with Martin Bingisser: how to get the most out of them and integrating into training. “Hammers, nails, and opening up your world view” by Craig Pickering on why learning new methods can help us overcome our biases and routines. “The most effective solution is not always the best” by Craig Pickering on how effectiveness and utility are different. GAINcast 111: No weight room, no problem with Vern Gambetta’s experiences on the topic. HMMR Podcast 149: Zen and the art of training (with Steve Myrland) on how going beyond the barbell can increase focus. A three-part analysis of functional training from Vern Gambetta: part one, part one, part one. Functional training can also go too far. Steve Myrland looks at this in his article “Is that functional training or a circus trick?” Vern has also written about thebastardization of functional training. Frans Bosch’s work talks about the limits of traditional barbell training. He discusses this in his book, which we also reviewed coordination. We also go more in depth in our interviews with Bosch and John Pryor. 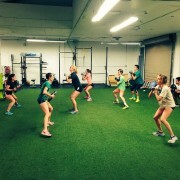 The basics of functional training from Vern: foundations, principles, and rules of functional training. GAINcast 25 and GAINcast 108 with more from Steve Myrland. 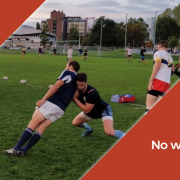 HMMR Podcast 124 with Bill knowles on athletic development. Vern’s thoughts: GAINcast 2: Train movements not muscles, GAINcast 43: Focus on function and HMMR Podcast 7: Bring back athleticism. HMMR Podcast 128 with Paul Venner on aquabags and training stability. Additional interviews with Greg Thompson on physical education, Allan Macdonald on specific strength, and Shawn Myszka on training movement.